Pure, concentrated cleaning power without dyes or perfumes. Concentrated power and packed with all stainlifters! 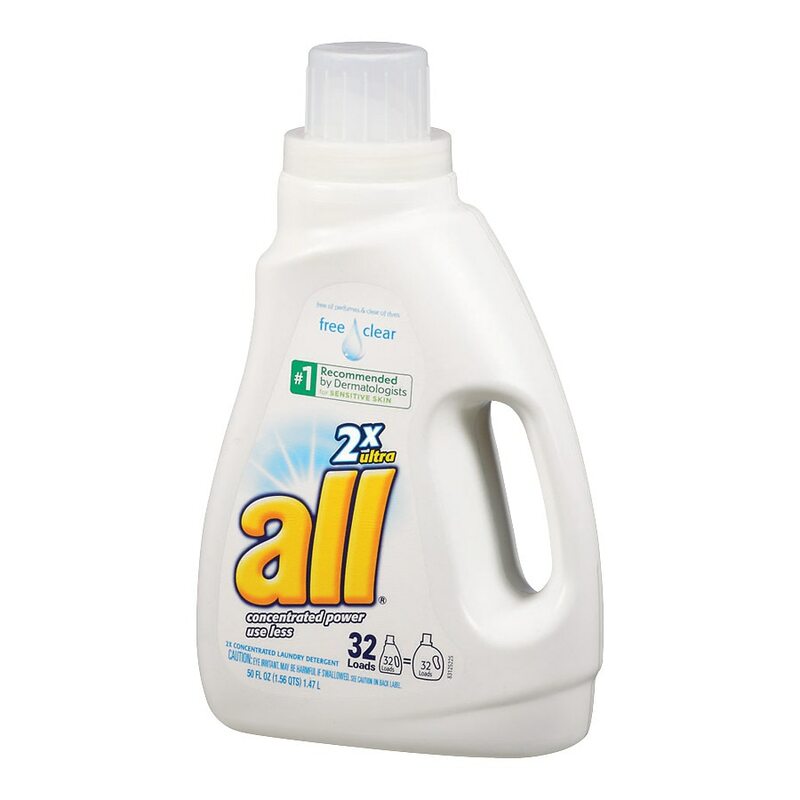 With twice the cleaning essentials of regular all®, you only have to use a little bit to get a big clean. The gentle, hypoallergenic* perfume and dye-free formula is specially designed for people with sensitive skin. Plus, it has archive allergen fighters*. No wonder it's #1 recommended by dermatologists for sensitive skin. For use in standard and HE machines. Easy to carry, pour and store! Concentrated power so you can use less. all®, is safe for hand washables, for use with bleach, and for septic tanks. *Washing with all®, free clear helps remove two of the top everyday allergens, dust mite matter and cat dander, as well as certain fragrance all®, free clear is not intended to treat or prevent allergies. We do our bit for the environment too: All©surfactants are biodegradable and the bottle has 25% or more post consumer recycled plastic. *contains 32 loads as measured to line 2 on cap. Measure according to fill line/load size on cap. Eye irritant. May be harmful if swallowed. In case of eye contact, flush well with water. If swallowed, drink a glass of water. Call a physician.